Eating with our fingers is a primal instinct. We first learn about food by touching. By instinct we know how to make our fingers lead food into our mouths. Alas, when we learn the joys of eating with our fingers we are told not to do it. Since we are all grown up now, we can do as we please...even eat with our fingers. In today's society it is now acceptable to eat with our fingers, as long as we are eating "finger foods". The label "finger food" have been coined to attach to tactile, bite size food that made hand-to-mouth eating an accepted norm. It is fun food. Yes, especially to those who have less washing up to do. A lot of food can be converted to finger foods to make them easier to eat: just two fingers needed. That gives you eight fingers free to do other stuff (e.g. texting). To make banana pudding a two-finger-food, I have encased it in a spring roll wrapper. 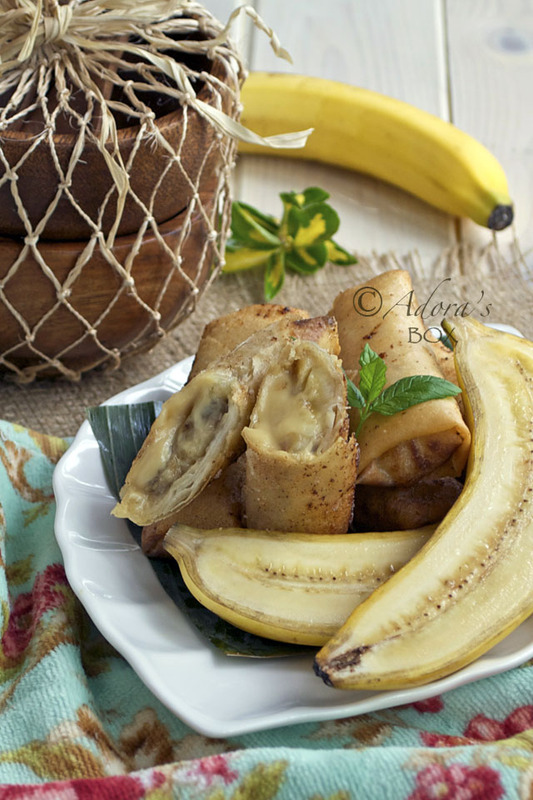 This is a more upbeat version of a favourite Filipino snack called turon which is made with cooking bananas, dipped in brown sugar before being wrapped in spring roll pastry. 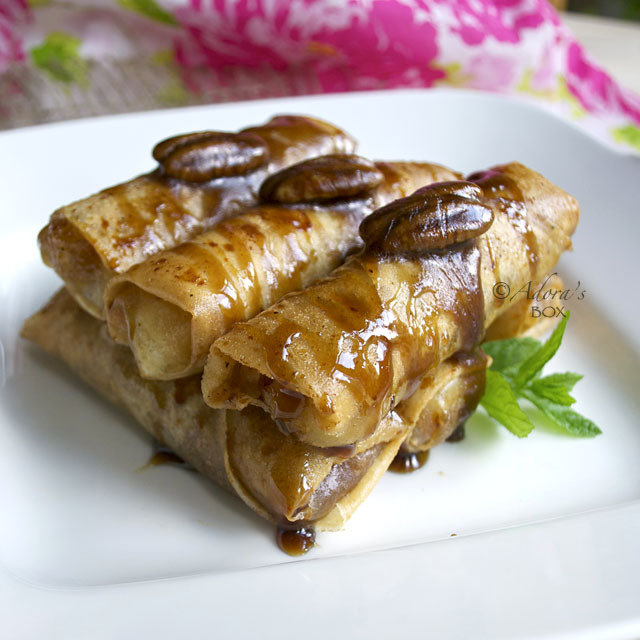 A bit of the sugar oozes out, caramelises and speckles the turon. 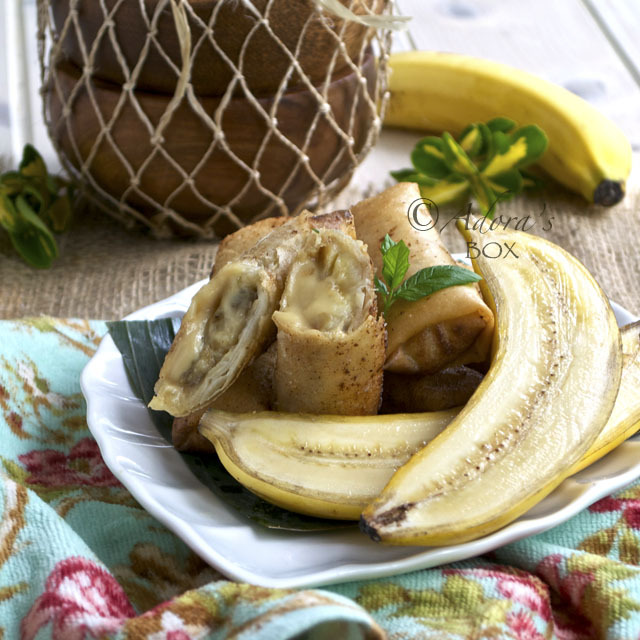 This spring roll not only has bananas as filling but also brown sugar and vanilla custard. It's a pudding wrapped up and ready to go in an edible vessel. 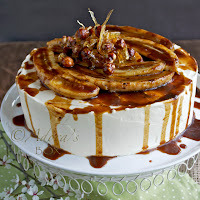 The brown sugar melts into a caramel and the ripe bananas soften and meld with the custard. What else can be better than finger food but finger food with an oozy, melty filling. The mess is its allure. Whisk the milk and corn flour together. Add the egg yolks and blend together. Transfer to a saucepan and cook on low heat while constantly stirring until very thick. Leave to cool, then refrigerate. 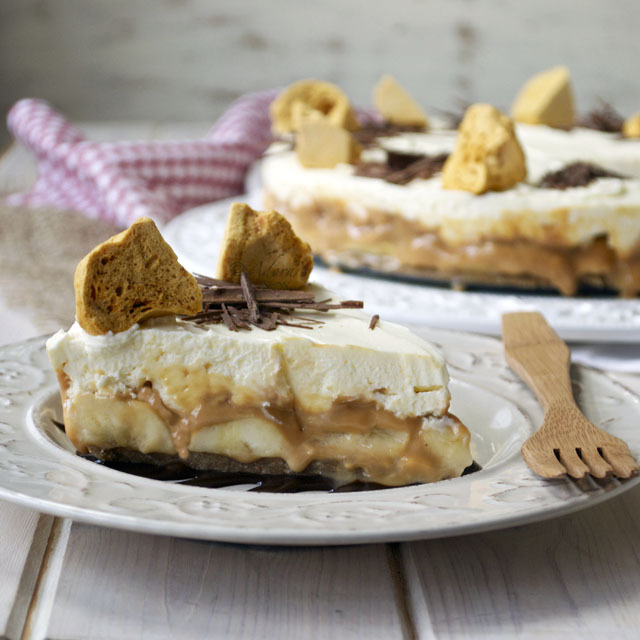 When the custard is cold, prepare the wrappers and the bananas. Separate the wrappers. Cut each banana into half lengthwise. Split each half into two crosswise. You should have a total of 16 pieces of bananas. Lay a sheet of spring roll wrapper on a board with one corner nearest to you. Spread 1 tbsp. of custard on the wrapper, sprinkle 1 tbsp. of brown sugar and top with 1 piece of banana. Roll up (see the intructions on how to wrap a spring roll here) and seal with the paste. Do the rest of the rolls. Heat up enough cooking oil to shallow fry the rolls. The oil has to be quite hot. Fry the rolls briefly just until the wrapper is crisp and golden brown. Do not fry for too long or the custard will ooze out. Drain on kitchen paper. Serve hot. I like your food presentation. Looks yummy! 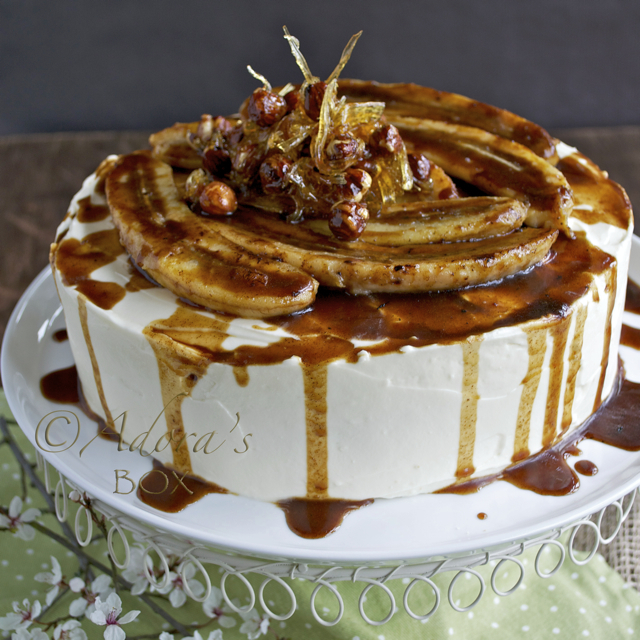 Oh my, what a delish great idea for bananas! Your photos are gorgeous. Thanks for sharing such a creative recipe! I once tasted a fried spring roll/lumpia with custard in it instead of the usual veggies/meat. It was delicious! 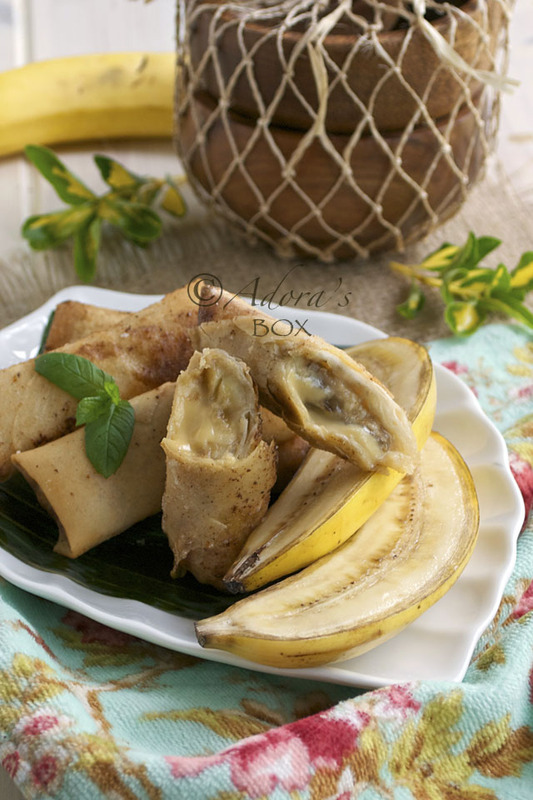 And I really like turon so I can imagine really enjoying this!